Fortune Select Trinity is situated amidst the upcoming IT Hub and Whitefield area. 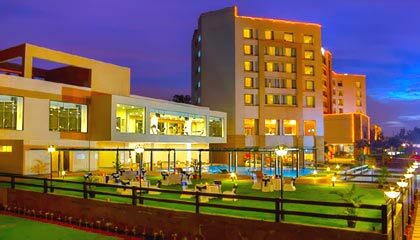 Standing tall amidst Bangalore�s upcoming IT hub, Whitefield, with an elegant structure, Fortune Select Trinity is an upscale business class hotel featuring all modern conveniences. 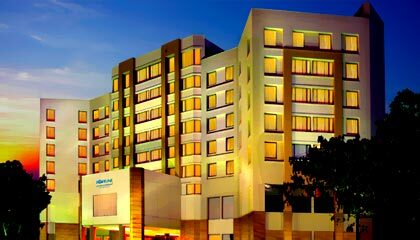 Marvelously structured with contemporary touch, the hotel allows the guests to enjoy the real spirits of Bangalore with a range of premium facilities. Every amenity and service of the hotel has been brilliantly planned while taking in account various needs of the sophisticated visitors, to provide them a luxurious experience throughout their stay. With an array of sumptuously appointed rooms, which are intended with state-of-the-art facilities and stylish furnishings, the hotel gives the guests a pleasant ambience to live, to enjoy, and to rejuvenate. Its spacious banquet and conference halls are set with up-to-date equipments to make every event a special one. In concise terms, Fortune Select Trinity is a preferred destination for both business visitors and tourists. 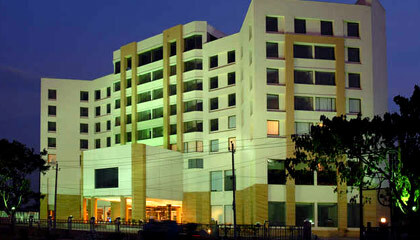 The hotel has 142 tastefully-arranged rooms, classified into 100 Standard Rooms, 30 Fortune Club Rooms, and 12 Suites. 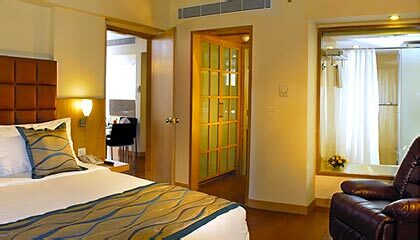 Each room & suite is lavishly prepared with modern amenities for a pleasant stay. Zodiac: A round the clock open restaurant serving variety of delicious cuisines. The Oriental Pavilion: Satisfy your taste bud with authentic Oriental delicacies. Trinity Club Lounge: A lounge bar offering cocktails & mocktails along with crispy snacks. AquaGrill: A poolside eatery that serves tempting tandoori & grill food. The Cake Shop: A perfect place for fresh bakes, breads and cakes.